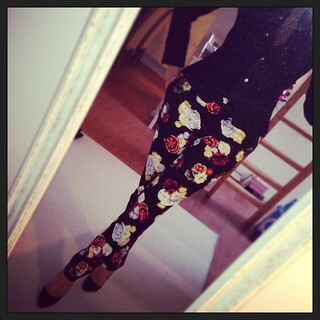 embellished, floral or bright tribal pants. I'm in LOVE with these tribal skinny jeans! Love the print, but especially the shoes! The stylish blogger from Fashion Frictions has matched her Zara sandals with a bright, blue jacket. Olivia Palermo again with a multi-colored skinny. But remind me to feed that girl a hamburger next time I see her.